Thanks for your interest in GBS Commercial Cleaning, a division of Green Building Services. Founded in 1999, GBS offers a complete range of environmentally-sound commercial cleaning services. We provide high quality, green janitorial services for offices and businesses in Boulder and Broomfield counties. We specialize in office janitorial, window washing, carpet cleaning and new construction clean-up. To learn more about our services or to schedule a no obligation, full service on site visit please fill out our estimate request form. Call 303-443-3366 now to speak with a GBS team member. Why choose GBS Commercial Cleaning? A green clean is a healthier, more environmentally friendly clean. 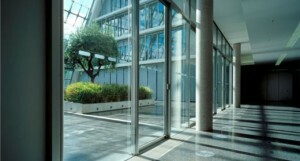 The GBS team will maintain your facility employing the latest green techniques and technology, so you can enjoy a healthier work environment and breathe easier in your place of business. GBS assures the quality of our work by conducting regular employee training and scheduled inspections. We can help any organization incorporate environmental awareness into business practices – this will differentiate your business in the eyes of customers, prospects and employees. Our team is available 24/7 for emergencies and to work with you on special projects. Best of all, GBS can meet or beat the rates of traditional (non-green) cleaning services. We offer a complimentary, no obligation on-site visit to provide an accurate estimate. For more information on how GBS Commercial Cleaning can develop a commercial cleaning and maintenance program that is customized to your specific needs, please call us today at 303-443-3366 or fill out our estimate request form.